I happened upon Swiss-born, NYC-based artist Ugo Rondinone’s Soul exhibit in Chelsea the other day to my great delight. Walking into the Gladstone Gallery and seeing a sort of unhinged Stonehenge in the form of human figures created by stacked bluestone lit naturally from the above skylight is really a treat. Visitors walk between the primitive-looking (and pretty cute) works, oddly blending in. 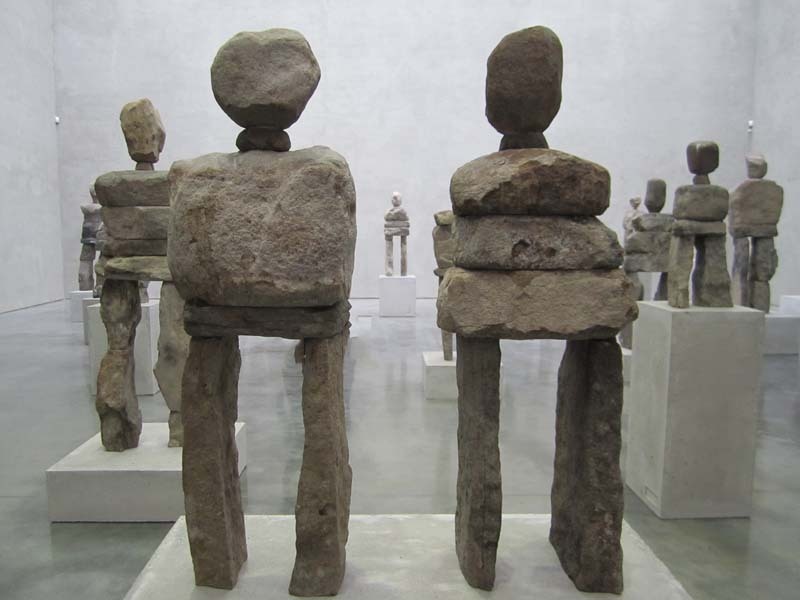 At the same time, uptown, at a completely different scale, Rondinone has created Human Nature, a public art installation at Rockefeller Center consisting of nine colossal stone figures ranging in height from 16 to 20 feet and weighing up to 30,000 lbs each. 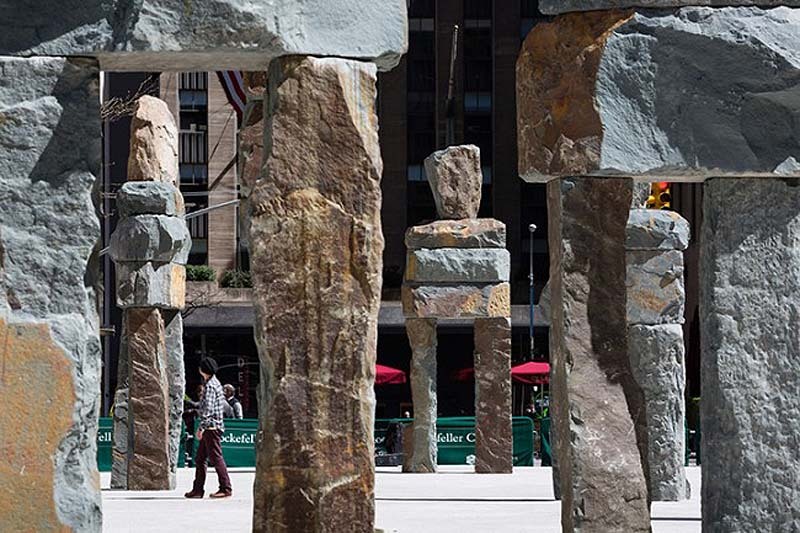 A forest of mythic stone giants! Soul will be at Gladstone Gallery at 21st Street through July 3, 2013. Human Nature will be on view at Rockefeller Center through July 7th.